Blog home / Everything CBTN / Networking Basics: What is IPv4 Subnetting? The quick definition: Subnetting is the process of taking a network and splitting it into smaller networks, known as subnets. It’s used to free up more public IPv4 addresses and segment networks for security and easier management. To understand subnetting, you should first understand the decimal and binary structure of an IP address. An IPv4 address is a 32-bit number. To make addresses more straightforward, they are divided into four 8-bit numbers — or octets — separated by a decimal point. These octets range in number from zero to 255. Why do octets only go up to 255? Because they’re binary. Note that there are eight numbers between the decimal points. Each number represents a bit. Hence the term octet or the 8-bit number grouping. Every 1 in a binary number “turns on” the number in its position. So, 1 in the first and last positions “turn on” 128 and 1. When all the positions are “turned on,” they add up to 255. During the early stages of the internet, organizations assigned IP addresses like crazy until we nearly ran out. Luckily, the designers of IP addressing came up with a way to end this wasteful practice: Dividing networks using subnetting. The process of taking an extensive network and splitting into smaller networks is known as subnetting — and it’s freeing up more public IPv4 addresses. There are two parts to an IP address: The network portion and the host portion. It’s like the address for a house. The network portion is like the city, state, and zip code. The host portion is like the house and street number. A subnet defines the number of bits, out of 32, used for the “network portion” of the address. Subnet masks can also be defined in a more common ‘slash’ representation, known as CIDR notation. In the following table, the red digits represent the bits used for the network. The black digits will be used for device IP addresses. Note that the 255.0.0.0 mask can also be represented as a ‘/8’ because it reserves 8 bits of the overall 32 bits used to describe an IPv4 address as the network portion. In this case, we’re using 24 bits (or three octets) for the network. Notice that every host device in the network has the same first three octets. That’s the network portion of the IP address with a /24 mask. Let’s look at the table again. If it were /16, then the first two octets would be the network portion, and the host portion would occupy the last two octets. If it were an /8 network, then only the first octet would be the network portion. These are the most common masks because they’re the simplest, but when you need more than one network, you have to subnet. Subnetting enables you to choose the number of bits to use for the Network portion. You can even steal bits from the host portion for the network. Here’s what the full subnet mask table looks like. In this table, 1s represent the network portion, and 0s represent the host portion. What are IP address classes? To complicate things further, IP addresses have five classes, but only three are applicable to subnetting — A, B, C.
Remember these IP addresses are represented in binary. This is important to know because it affects the number of hosts and subnets available in a network. Notice that Class A addresses provide the most room for host addresses (the black digits). That’s because the network portion only occupies the first octet. Most large enterprises use Class A IP addresses for this reason. You can connect more devices to a Class A network than a Class C.
In every class, you can steal bits from the hosts to create more subnets, but you’re also reducing the number of hosts. Notice how stealing just one bit for the network drops the number of hosts significantly. Class B IP addresses offer fewer hosts than Class A because its network portion occupies the first two octets. Class C IP addresses offer the fewest hosts because the network portion occupies three octets. You might notice that the default IP address your home router uses falls into the Class C category. This is a special subnet reserved for private IP addresses, you can read why in the Network Address Translation article. These standards make subnetting a little easier. For example, if you choose a Class ‘C’ address, you know that it uses at least 24 bits (/24) of the 32 available bits for the network portion of the address. Now that we know about classes, binary, and subnets. 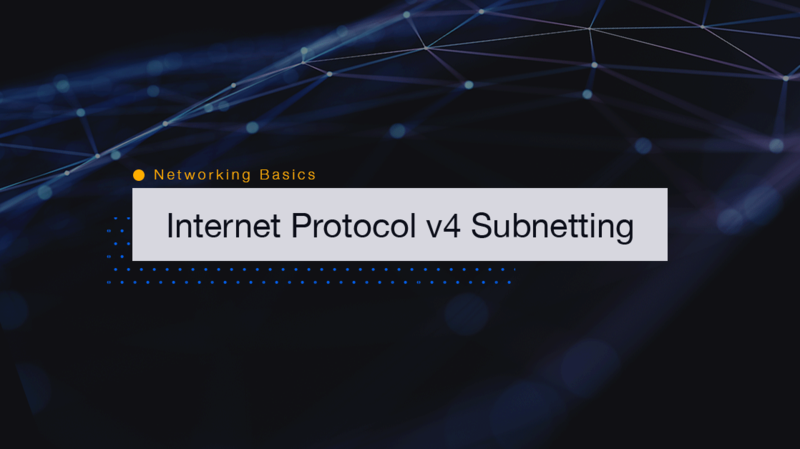 Let’s dive into a subnet. Let’s reverse engineer this last octet to determine the network portion of the address or what the subnet is for this address. 1. Determine number of allowed subnets using /27 network mask. This gives us eight possible subnets with the /27 mask. Now, let’s find the subnet address where this IP address resides. We are only looking at the last octet because the first three octets are the network portion. We just have to take a look at our table again. 71 falls above the 43.17.255.64 subnet and below the 43.17.255.96 subnet. So it belongs in the 43.17.255.64 subnet. We now have the subnet for 43.17.255.71: 43.17.255.64. That seemed like a lot of work, right? If you are logged in to a Cisco router that’s connected to the subnet, there’s a more efficient and easier way to get the subnet. Using the command “show ip route” in the Cisco router command line, the output includes the subnet for the IP address. Of course, you won’t always have the command line at your fingertips. That’s why it’s important to understand how IPv4 addressing works and be able to calculate subnets. Using a chart like the one above and the method we covered makes that process easier. You’ll be able to identify addresses from subnets in minutes, even seconds. Who knows, at that point, you’ll want to tackle IPv6 subnetting. For now, Keith Barker explains how to reverse engineer an IPv4 address. Networking Basics: What are Wildcard Masks and How do they Work?